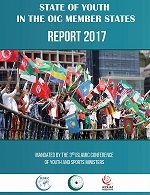 This report, which has been prepared by SESRIC in cooperation with ICYF-DC as mandated by the Third Session of the Islamic Conference of Youth and Sports Ministers, held in Istanbul in October 2016, underlines that performance and ability of youth to act as agents of cultural and economic sustainability will largely depend on how well policymakers today can address ongoing and upcoming challenges. In this regard, the report examines and evaluates the challenges faced by youth in various areas such as economy, policy, education, health and culture as well as suggesting actionable insights for policy makers. 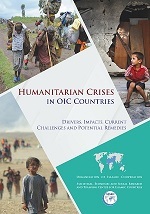 In other words, the Report not only identifies the key challenges faced by youth but also provides broad policy solutions on youth related issues to be considered by policy makers in OIC Member States. 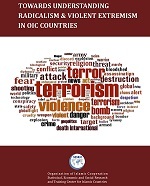 The rise of radical and violent extremist groups and the atrocities they have committed in many parts of the globe in general and OIC countries in particular coupled with the negative and sometimes devastating human, social and economic consequences of their acts has pushed the subject of radicalism and violent extremism to the very top of the agenda of the OIC countries and the international society alike. 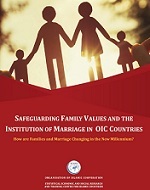 The report, “Safeguarding Family Values and the Institution of Marriage in OIC Countries: How are Families and Marriage Changing in the New Millennium’’ examines the current status of marital and family union in OIC Countries and maps ongoing and emerging trends that impacts familial and marital values. Energy is a significant driving force for sustainable development with critical economic, social and environmental impacts. Energy is both a cause and a condition to economic growth of the economy. 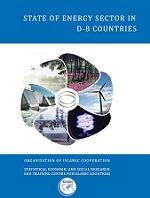 Given the finite nature of carbon-based energy and the eventuality of the post-oil era, effective strategies and policies are needed to deal with the future of the energy sector at both the national and regional levels. As global populations around the world witness increasing growth, the demand for less volatile and more clean and diverse energy portfolios is now becoming more critical than ever before. Transportation is a leading sector in regional development which contributes to socio-economic development of societies, boosts trade, jobs and the living standards. 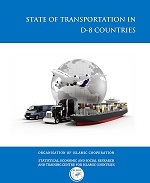 Demand for transportation is rising, hence the provision of transport-related infrastructure and services are required to promote development and create investment opportunities. 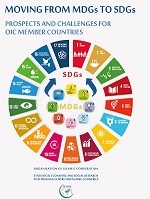 The new 2030 Agenda for Sustainable Development with its 17 Sustainable Development Goals (SDGs) officially came into effect in January 2016 at the conclusion of the Millennium Development Goals (MDGs). It is an ambitious and universal agenda to support a sustainable future for the humankind by integrating social, economic and environmental dimensions of development.